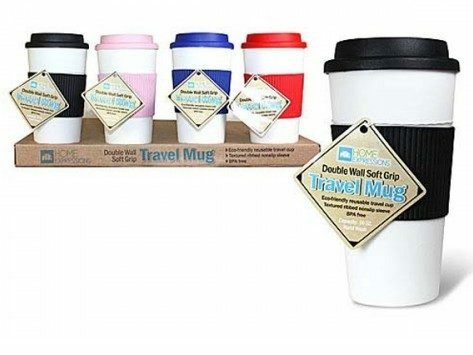 Double Wall Travel Mug Only $4.99 Plus FREE Shipping! You are here: Home / Great Deals / Double Wall Travel Mug Only $4.99 Plus FREE Shipping! I use one of these mugs every day whether I am leaving the house or not! It is the perfect oversized mug amount without be too big to hold. The cover keeps the grandkids from spilling the contents (this has saved me so many times!). It keeps my morning hot beverage just the right temperature and it is BPA FREE! Get several of these Double Wall Travel Mug for Only $4.99 each Plus FREE Shipping! They make great presents!